← Assigning Resources to fit right time! Be aware of this: WBS DOES NOT SHOW DEPENDENCIES. What does it mean? It means, that you can read from WBS what muse be done, but you can not read, how long will your Project lasts! For that you must have activity diagram. WBS I logical Hierarchy! How will you measure your schedule progress. With SCOPE BASELINE! SCOPE BASELINE = Project Scope statement + WBS + WBS Dictionary. What is WBS DICTIONARY? Let suppose that you have a Deliverable called: “Return flights Scheduled”. What do you have to do for this. For example, first you should go to the internet and find your flights, and see if they fits your expectations (departure date, etc). Next you should see if there is enough tickets to your trip (what if there is only one ticket available? This is WBS Dictionary, and it is brief explanation of what should be done to achieve deliverable. Hierarchy of WBS can be simple or complex, and it depends of your Project. The last in each branch is WORK PACKAGE or Deliverable! Now, what is deliverable! It is something you deliver . It has to be measurable. If it is not measurable, how can you achieve approve from your Customer, or Client! What is deliverable from Rent Van Work package. Well, the contract between you and Rent a Van company, and keys of the Van in your hand! WBS is foundation of a good schedule! If you want learn how to build excellent schedule I strongly recommend book from Eric Uyttewaal: FORECAST SCHEDULING WITH MICROSOFT PROJECT 2010. You can find it here: http://www.projectprocorp.com/products.php. Buy it, you wouldn’t regret it! 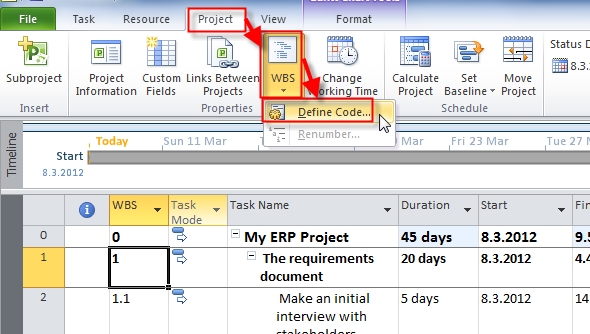 How to make a good WBS in MICROSOFT PROJECT 2010? Here is an example! Please do not look is it make a sense to have those Tasks in this order. It is for example purpose! So it can be silly, but don’t bother with it. 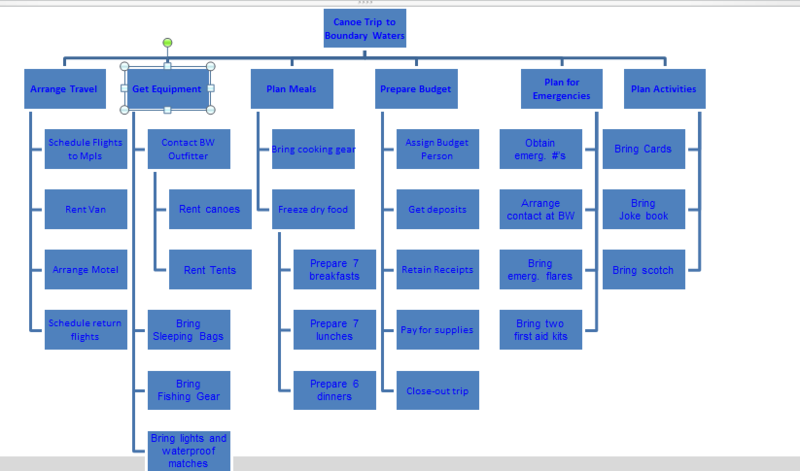 You can see that I have two branches in my WBS: The Requirements document, and Make a good Plan. 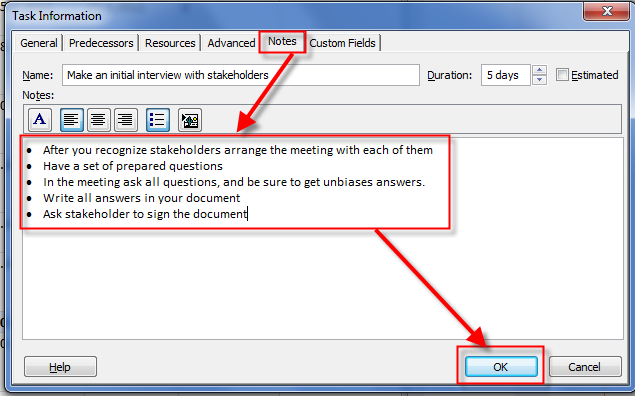 But the Task Divide requirements to the tasks has predecessor from task 8, and task 11 as well. And Find a resources you will need for the Project is started as soon as Write an initial requirement document is finished! You can get your WBS in Visio 2010 very easy. 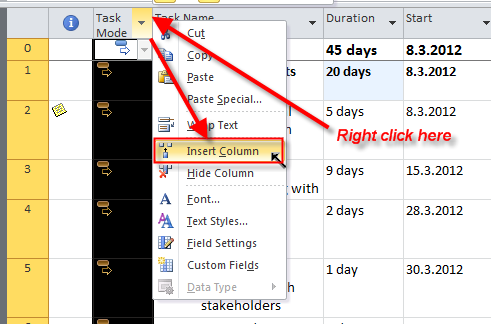 This entry was posted in MICROSOFT PROJECT, Microsoft PRoject 2010, MS PROJECT 2010, PMI, PRoject Management and tagged Microsoft Project 2010, MS PROJECT, ms project - scheduling, PMI, Project Management, Project Management - SCOPE. Bookmark the permalink. I have a question about “work package”. Is work package the same as “activity” or “activity” is more detailed than a work package? I’m going to write a Post about that at December 27th 2013! I do not understand what do you ask? Pleas explain! its great and helpful thanks..
First thank you for your help on my previous post on resources. this was what I needed. Now a question on WBS codes. I have some unrelated projects, each of them are a seperate mpp file. 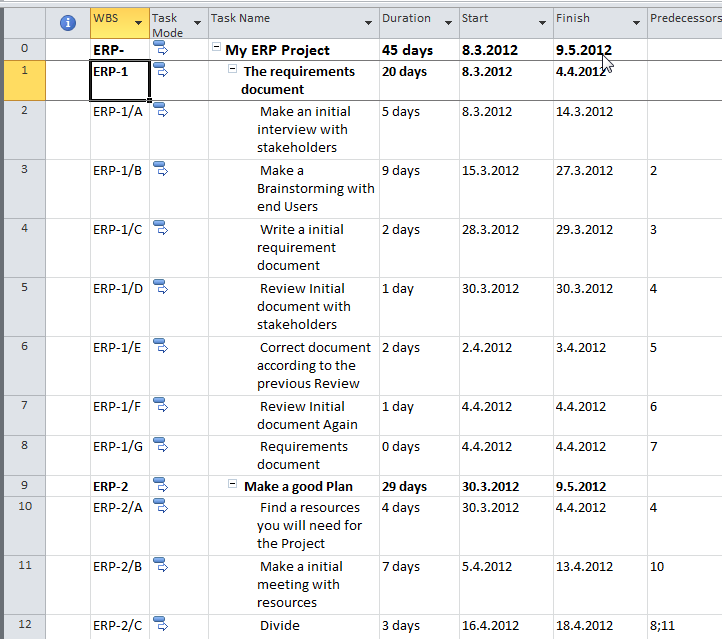 All these projects have to be done in 2012, so I would like to give an overview of the complete project status for 2012. I do this by making a new mpp file and insert all of the projects as sub projects. Now the strange things happen. 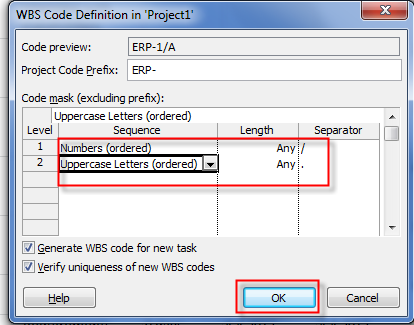 when I look at the WBS codes then I see duplicates which do not reflect the ‘indent’ level on the task name field. 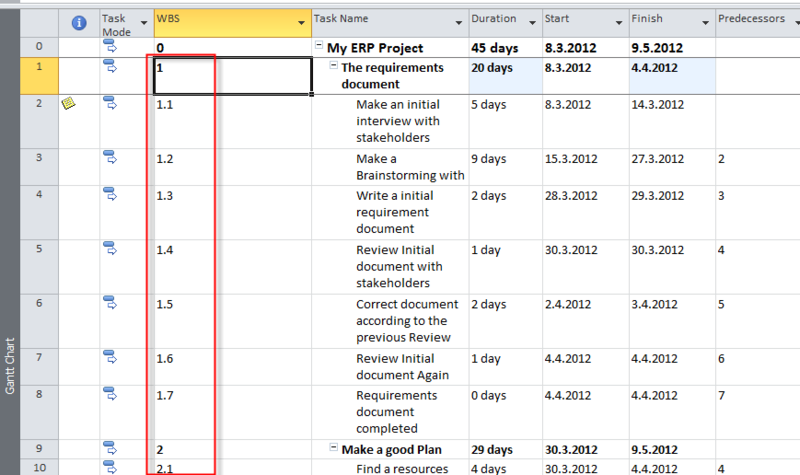 Also if I make a visual report in visio (Task status report) then it looks as if one project is being handled as a ‘child’ of another one on the same level. I would like to see a report with the ‘Total’ on top and from there branches to the sub projects summary task name, from every sub project again branches to the different taks in the project and so on.